PLAYM8 ® 5 A Day Active Cube - this larger than normal activity cube supports cross curricular activities indoors or outdoor, in the classroom or in physical education lessons. 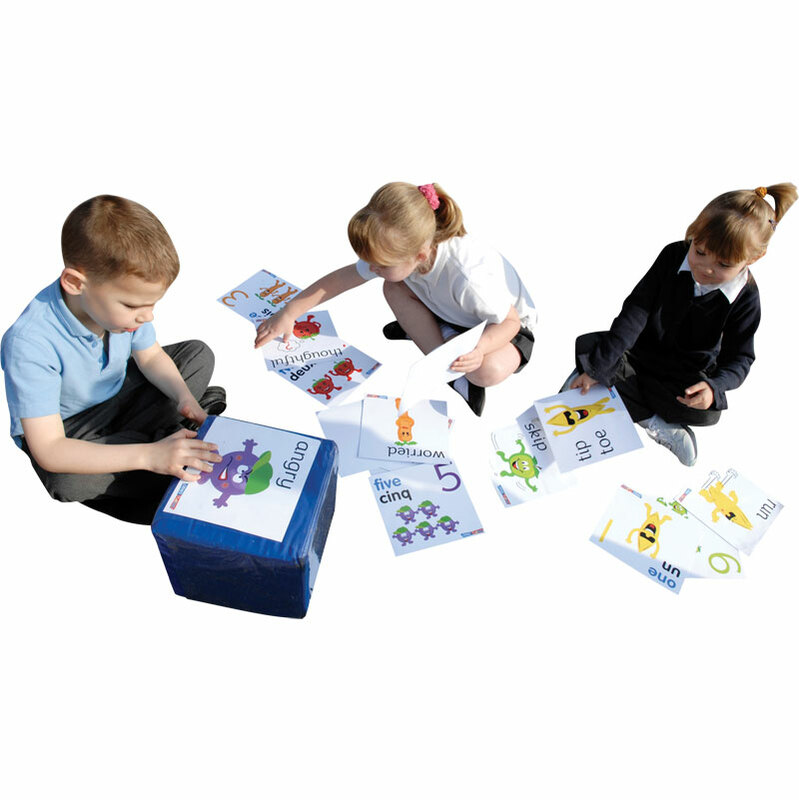 Playground leaders can use them to organise fun activities during breaktimes and lunchtimes. Each active cube is 22.5cm square and all 5-A-DAY cards will fit within the pockets to create fun games. 5-A-DAY active cubes can be used in conjuction with any 5-A-DAY product. What is 5-a-day? The concept of 5 A Day is based on the government’s recommendation of eating 5 variants of fruit and vegetables a day in order to live and maintain a healthy lifestyle leading to all round benefits. Fruit and vegetables are part of a balanced diet and can help us stay healthy. That’s why it so important that we get enough of them. 5 A DAY is based on advice from the World Health Organisation, which recommends eating a minimum of 400g of fruit and vegetables a day to lower the risk of serious health problems, such as heart disease, stroke, type 2 diabetes and obesity. A selection of 26 cards that feature the 5-A-DAY friends, each card will fit within the clear pockets on the active cube. The cards can also be used in the 5-A-DAY parachute pockets. 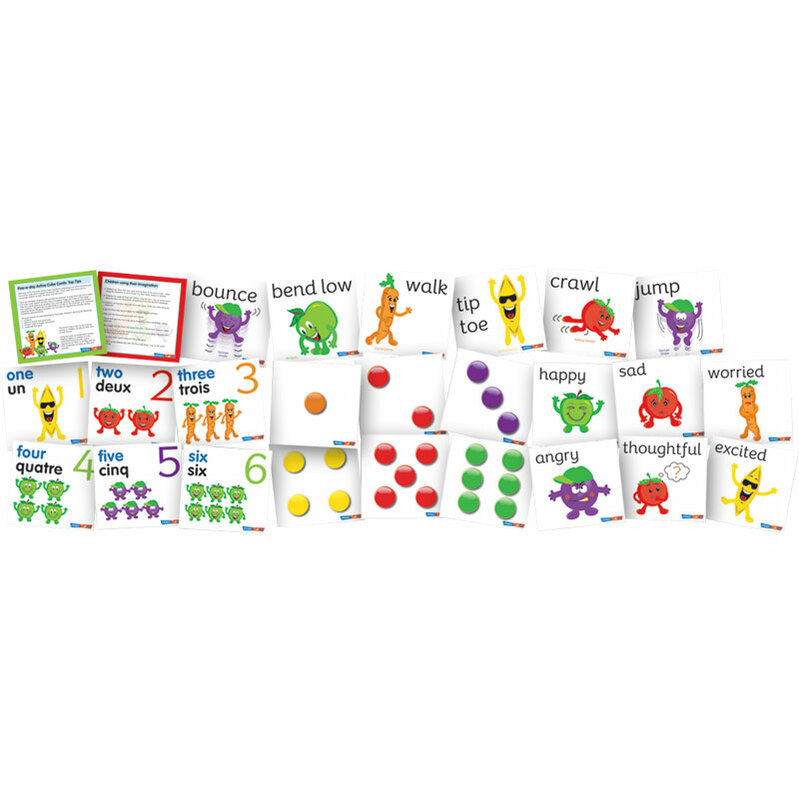 Each card is 20cm square and contains emotion cards (6), physical activity and movement cards (6), dice spot cards (6), number cards in English & French (6) along with top tips/imagination cards (2).